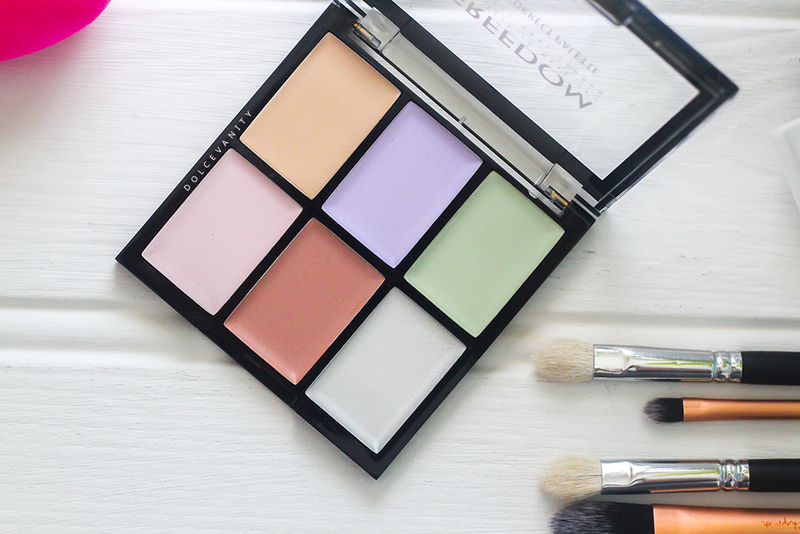 As mentioned in my Beauty Crowd Haul post, I wanted to make sure that I shared my opinion on this £5 bargain Pro Correct Palette from Freedom Makeup Pro. Freedom Pro is by Adam Minto who also created another great budget friendly brand MakeUp Revolution. Is this palette for us all? Let's get the basics out of the way. Correctors are different from concealers because unlike concealers which conceal, correctors, correct undertones. You may notice you try and cover up a spot, bruise, under eyes with concealers as much as possible but the colour still isn't natural or very uniformed with the rest of your application. A corrector will be the step to help you do this. Within the colour wheel, you'll notice colours that are opposite each other, these colours neutralize the other. 1. The color green neutralizes red, so people with lots of redness such as rosacea need a green corrector to counteract the color before adding their foundation or concealer. Lighter skin tones will benefit the most with these correctors. 2. Darker skin tones have hyperpigmentation and discoloration. They will need neutralizing colors such as oranges and bisques to counteract the darkness. 3. If you have sallow skin (dull, bland, needs a pick-me-up), you will need a lavender/lilac type corrector to brighten the skin. ‣ Yellow: Swatched it's very beige in appearance. Ideally yellow is good to counteract blue / purple tones think under eyes, veins. ‣ Lilac: Suited if you want to get rid of yellow on the skin, yellow gets rid of that swallow/dull appearance this shade. (I'm all yellow so this pan wouldn't be enough.) This is a very light pastel tone lilac. 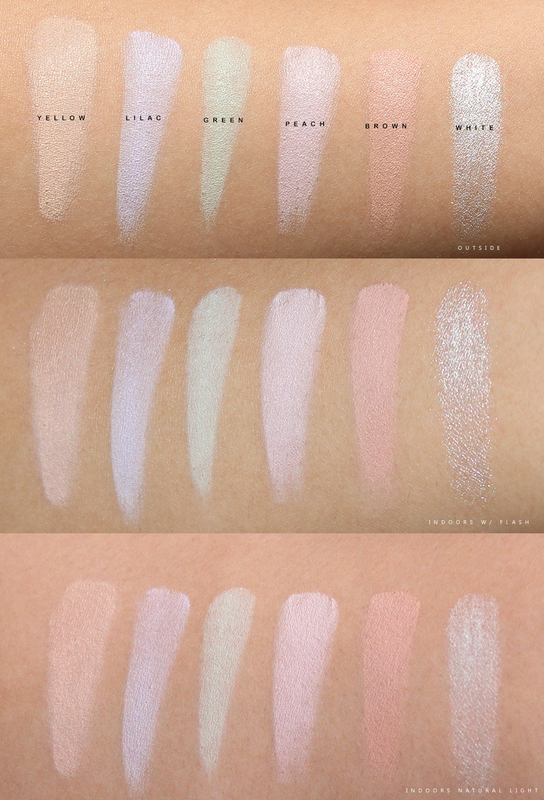 ‣ Peach: In the pan appears more salmon, when swatched outside there's more of a lilac undertone. Under other lighting there's more a salmon than peach tone to this corrector, which is great for those with fairer skin. ‣ Brown: This to me has more of a peach undertone when swatched. ‣ White: This screams, Silver, Sparkles and Studio 54. Definitely not a highlight that's going to win over everyone, it definitely could be used in the inner eye corner if you want that to be bright & light. It certainly can be used as a highlighter. It's a good palette but I think it's more aimed towards those with cooler undertones in their skin than if you're neutral & or warmer. 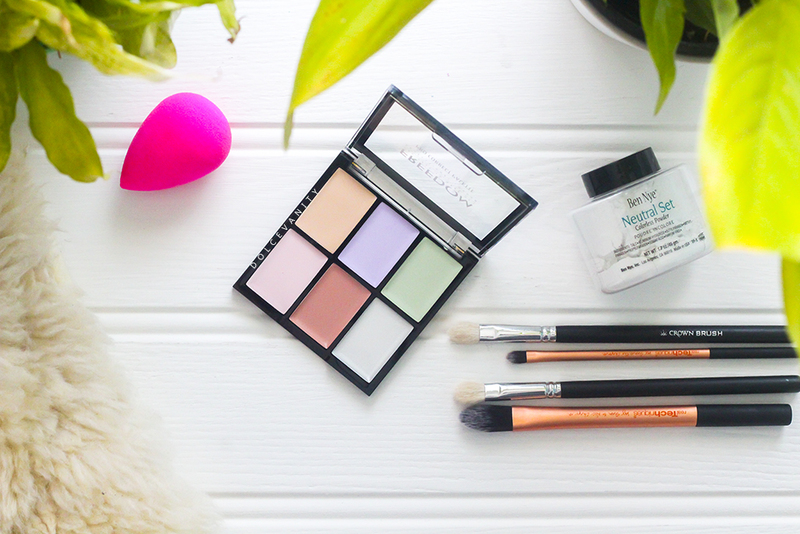 Colour correctors come in various tones of the colours. You'd need to find ones that suit your undertone not all palettes will work for everyone. When I tested this out I didn't find the tones strong enough, they were too chalky and light for me so even with my foundation applied afterwards it didn't make much of a difference.